Designed & hand finished in the UK. 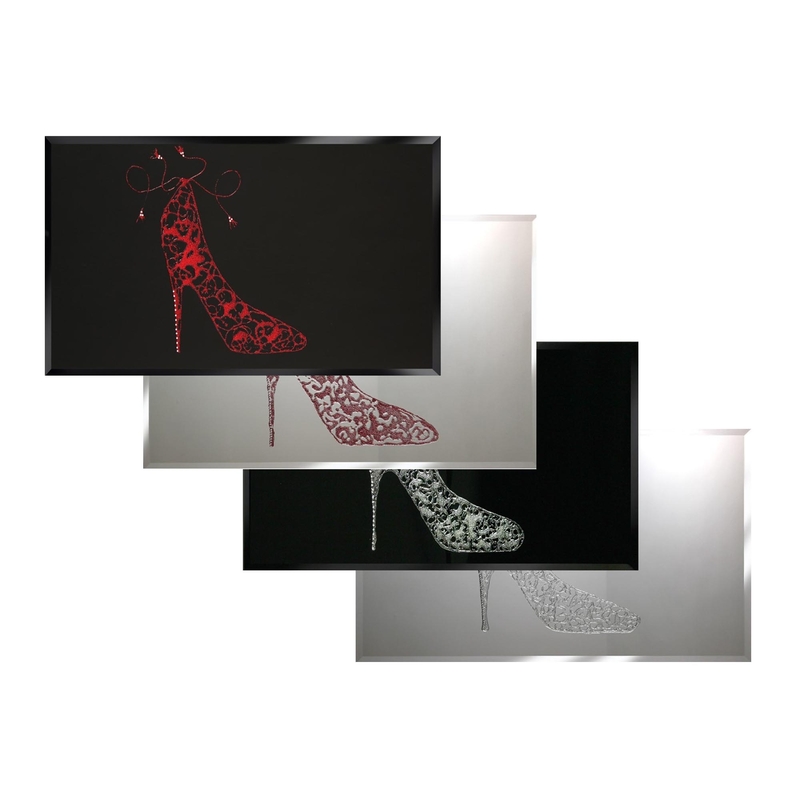 Add some glamour to your home with our stunning Red Glitter Shoe on Mirror. A beautiful piece that was designed and hand finished in the UK, comes in our two set sizes, as well as custom sizes; all coming with brackets attached. This piece portrays a red glitter heeled shoe with a ankle tie. The perfect design for anyone who simply loves shoes, or wants to give there home a chic style!